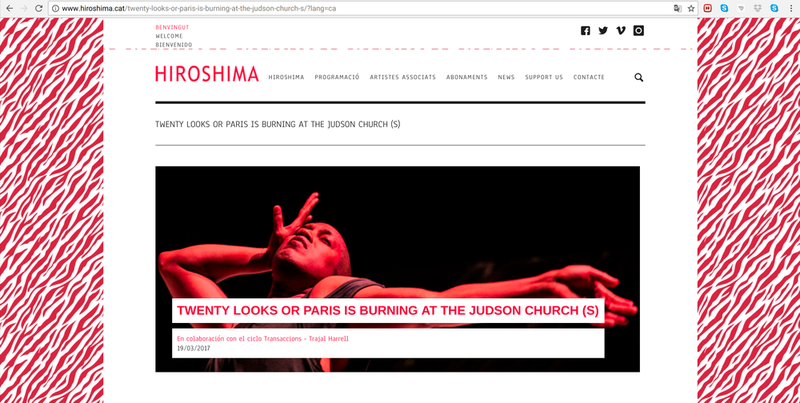 The iteration proposed for the Convent dels Àngels, Judson Church Is Ringing in Harlem (Made-to-Measure) / Twenty Looks or Paris Is Burning at the Judson Church, is the custom-made size in Harrell’s series. In this “made-to-measure” iteration, the proposition is reversed from its usual geographic trajectory. Instead of a voguer coming downtown to Judson Church, the proposition goes: “What would have happened if one of the early postmoderns from Judson Church had gone uptown to perform in Harlem’s voguing ballroom scene?” Rather than illustrating a historical fiction, Harrell creates a third possibility, something neither possible at the Balls nor at Judson Church, but only in the contemporary here and now. 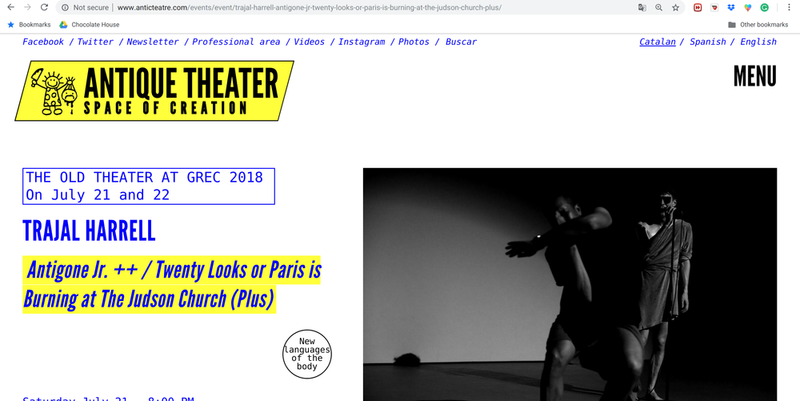 His work Judson Church is Ringing in Harlem (Made-to-Measure)/Twenty Looks or Paris is Burning at The Judson Church (M2M), has the distinction of being the first dance commission of MoMA PS1. He has been awarded the Guggenheim Fellowship; The Doris Duke Impact Award, a Bessie Award for Antigone Sr./Twenty Looks or Paris is Burning at The Judson Church (L); as well as fellowships from The Foundation for Contemporary Art, Art Matters, and the Saison Foundation, among others. 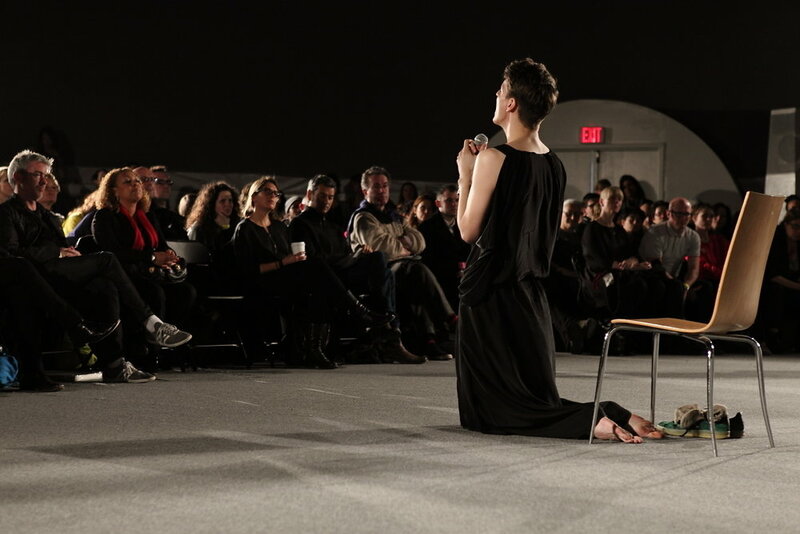 In 2016, he completed a two-year Annenberg Residency at MoMA, where he has turned his attention to the work of the Japanese founder of butoh dance, Tatsumi Hijikata. 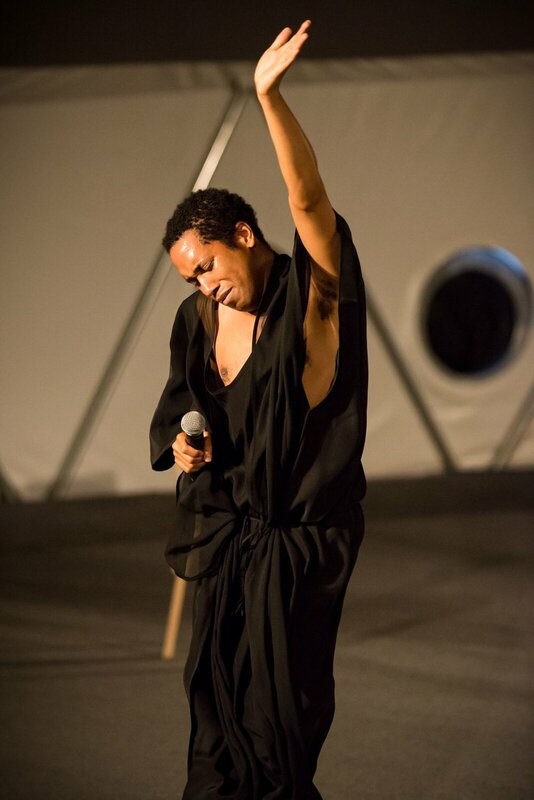 By looking at butoh through voguing's theoretical lens of "realness" and modern dance through the theoretical lens of butoh, Harrell is creating a number of works which combine a speculative view of history and the archive with contemporary dance practice and composition. He has created Used Abused and Hung Out to Dry, premiered and commissioned by MoMA in February 2013; The Ghost of Montpellier Meets the Samurai premiered in Montpellier Danse Festival in July 2015; The Return of La Argentina premiered in Paris’ Centre National de la Danse and commissioned by MoMA; In the Mood for Frankie premiered in May 2016 at MoMA; Caen Amour premiered at Festival Avignon 2016; and Juliet and Romeo produced by Munich Kammerspiele. 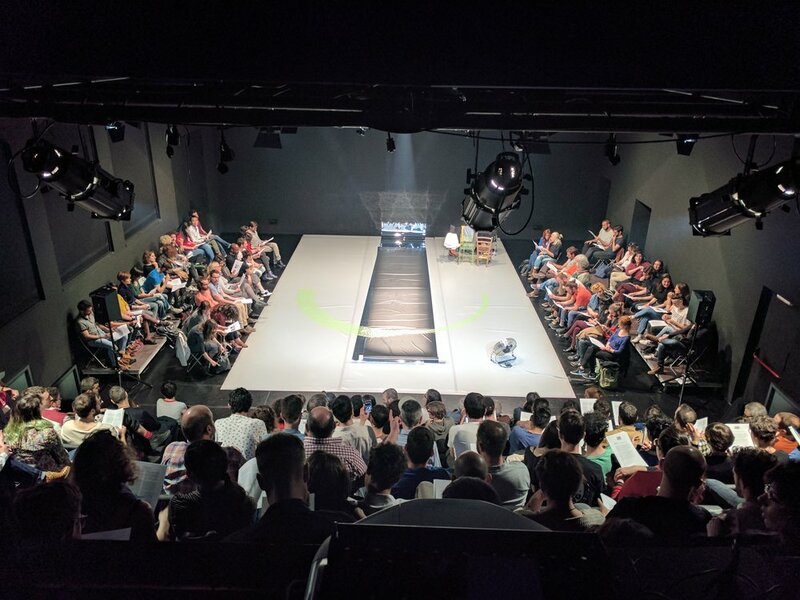 Most recently, he has become well-known for Hoochie Koochie, the first survey (1999-2016) and performance exhibition of his work, presented by the Barbican Centre Art Gallery in London during July-August 2017.